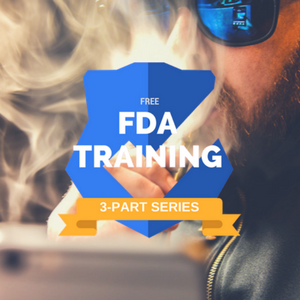 When you sign up for this free mini course, you’ll receive three value-packed emails and blog posts that sum up EVERYTHING you need to know as a vape shop owner. The emails will be sent to you over a period of three days. Opt out at any time. PMTA – does it apply to you and your business? Nicotine warnings – are you prepared? "Beat The Regs, Save Your Business"